Draft Day is better than it has any right to be. 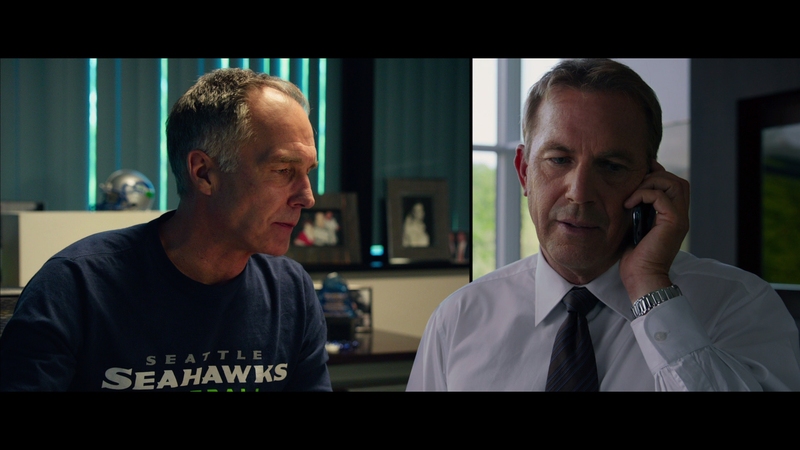 For what could (nay, should) be a pompous, inter-company NFL ego stroking exercise, this feature manages to conduct a symphony of eligible characters and surround them with the anchor of Kevin Costner’s quiet personality. Draft Day is full of screaming. Coaches scream. Rival team business men scream. The one reviewing game day tapes screams. 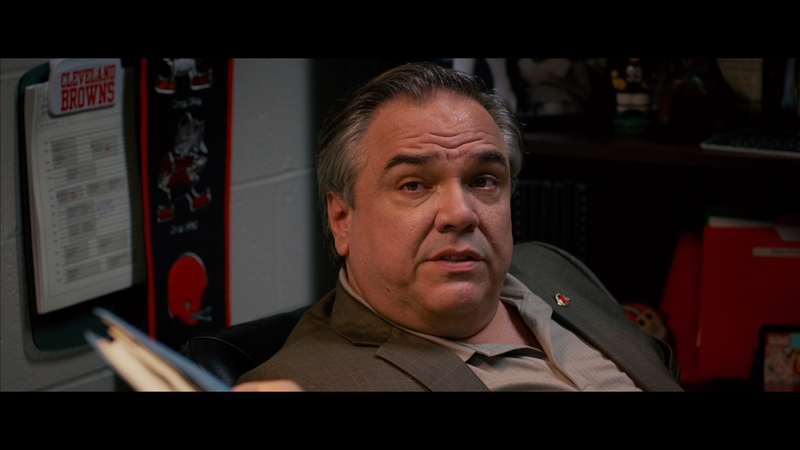 Not Costner’s Sonny Weaver Jr. though, a perennial football guy with fizzling personal relationships and the lingering effects of his father’s passing. Weaver’s control is impressive. This is a busy film. 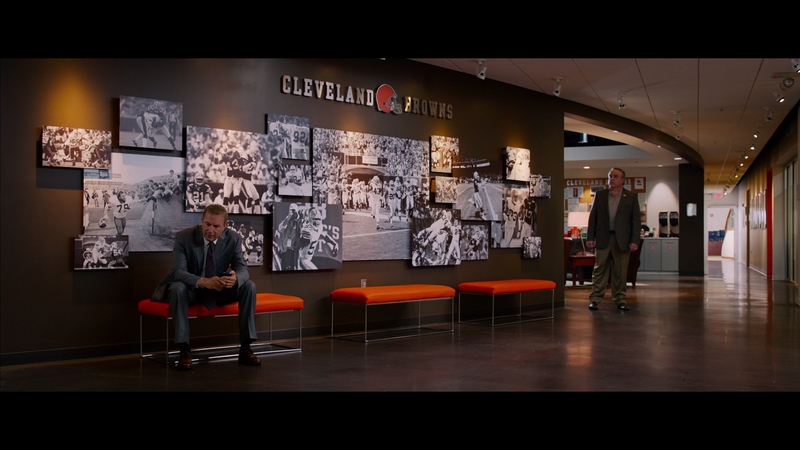 Beyond the effects of wrap-around and inset split-screens or the dizzying pans over billion dollar stadiums, Draft Day must compartmentalize its narrative focus. 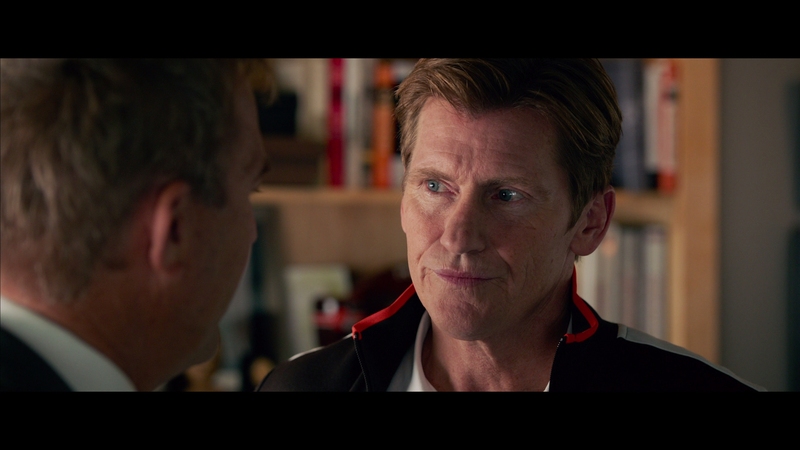 A half hour in, new characters are still slipping into the frame whether they display any development or not, divulging the scale of the draft and the inherent stresses embedded within. 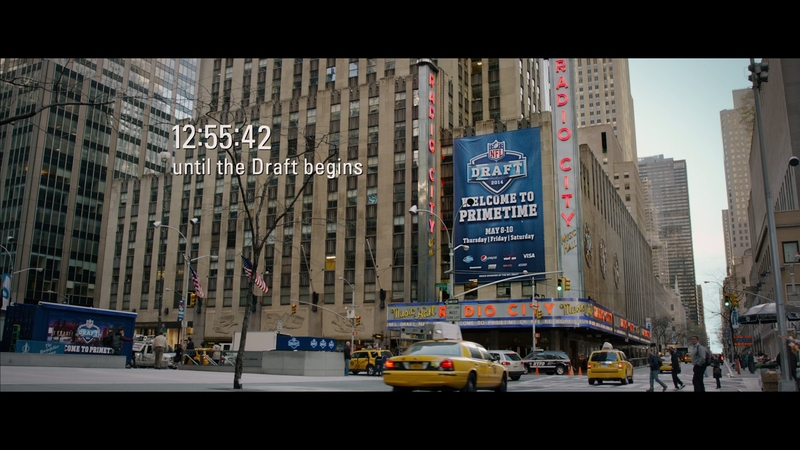 It should be noted that Draft Day’s theatrical release coincided with the one month warning call for the NFL’s actual event – in flabbergasting prime time. No wonder this feature opens by splashing the screen with expensive building-sized banners touting the actual date lest the organization miss an opportunity to further expose its ilk. 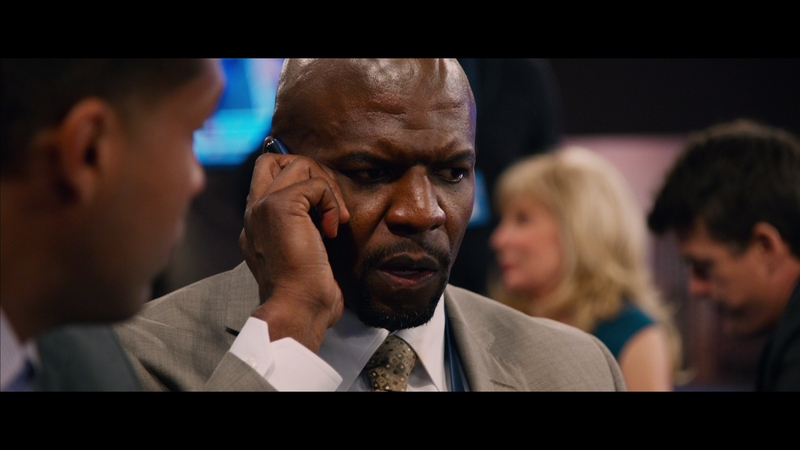 Somehow, the production team landed Ivan Reitman to direct this movie-commercial (movercial?) who sprays the feature with perky comedy and weary family drama. Rarely, however, is Draft Day about football, but rather those personalities who make it work off the field. This is business, somewhat literally. Fictional or not, this work is glossy and colorful – it’s unusually attractive to the eye. 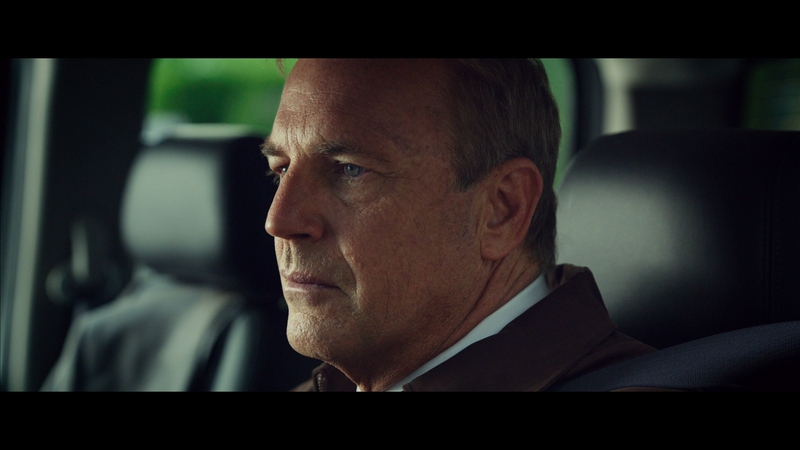 Against this shimmer, Costner’s on screen work feels indifferent, yet he obviously buries anxiety under a surface which begins to tear as hours tick by and LCD clocks begin their imperative readouts into single digits. 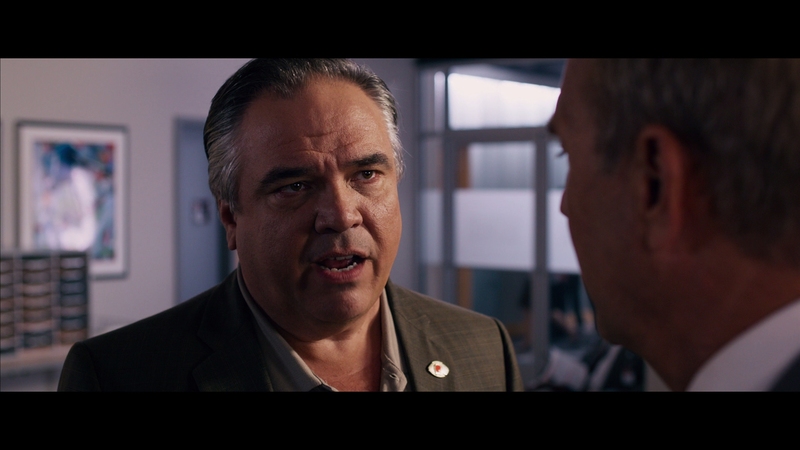 As a whole, Draft Day is a film about instinct – both in its creation that a film such as this would qualify as suitable drama for cinema and Weaver’s own in making potentially costly, risky decisions. Weaver is someone to root for even as he slogs along in darkened orange rooms to represent for the frequently playoff-less Cleveland Browns. Personal team allegiances are suddenly irrelevant. 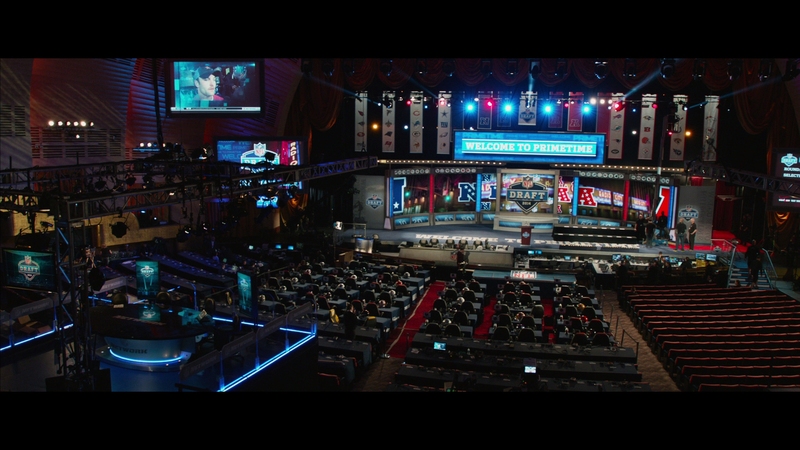 Draft Day supersedes those feelings because the entertainment value is inexplicably genuine. 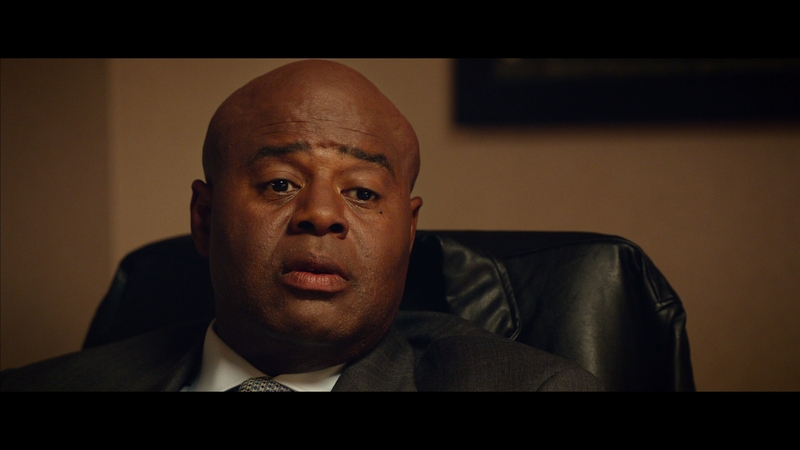 Digitally crafted from the Arri Alexa, Summit’s work is quite often stunning. 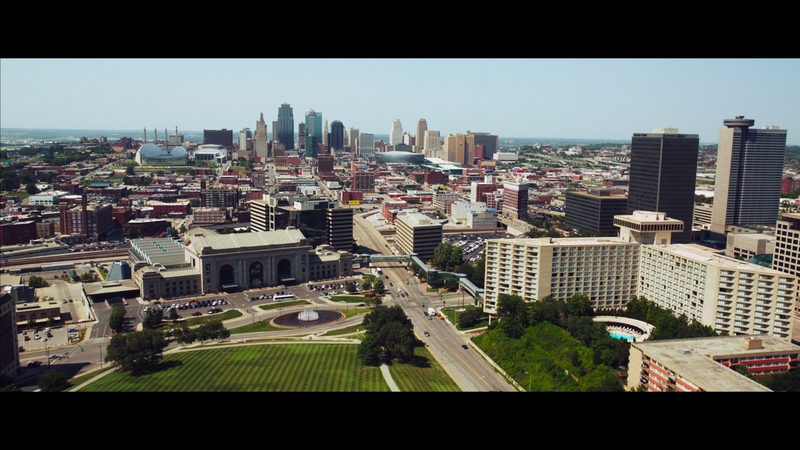 The ample use of citywide aerials and looks into stadium centers reveal a glossy, dense reality. Ignoring an ounce or two of noise is easy considering how clean each shot appears. Interiors hold to the same level of perfectionism. Exterior lighting bursts into these board rooms and offices frequently, allowing an exceptional layer of fidelity to escape into the frame. Close-ups reproduce excellent levels of facial definition with nary a loss of sharpness. A few intentional instances of focus flattening are meager. Setting the feature on a path of attractiveness is a dense sense of color, polished up in post to pull added heft from the flesh tones and rev up primaries. Saturation has a definite sheen which blows up greens and helps team logos blush where applicable, all without feeling busy or overworked. Contrast and premium black levels only help. The caveat? Actual draft footage. It’s awful. Tragic. Resolution seems to mirror that of SD broadcasts, and filtering is so grossly applied, any sense of fine detail is lost in the sea of halos thanks to edge enhancement. This is less than cable material because no trustworthy provider (as if there were any) could send this into homes under the banner of HD. That, or the contrast to the awesome movie footage prior is so great. 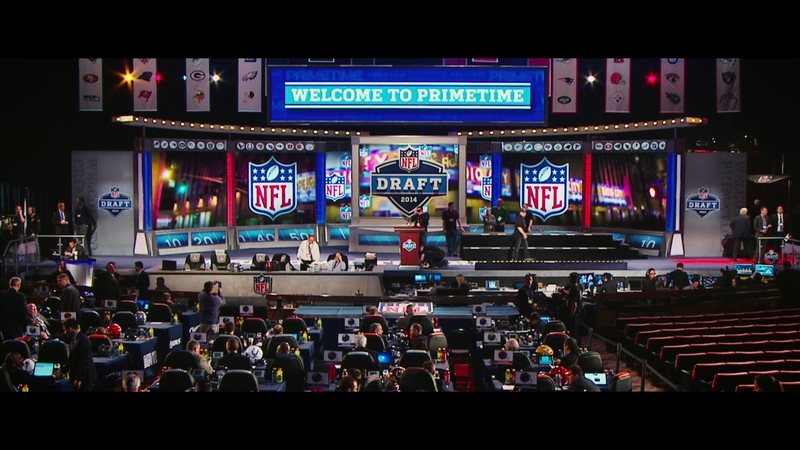 Draft Day has moments, such as when cities come alive at street level or crowds blow up during the draft. Rooms of people cheering when a plan works or the overall busyness of people scrambling for information and ringing phones creates a space to work with. Mixing may be passe for a chunk of running time, but this material offers suitable spikes for the DTS-HD mix to work on. As an aside, dynamic range is heavily squished. Dialog volume may be in sync with those peaks, but overall, volume feels dramatically compressed whether at reference or not. 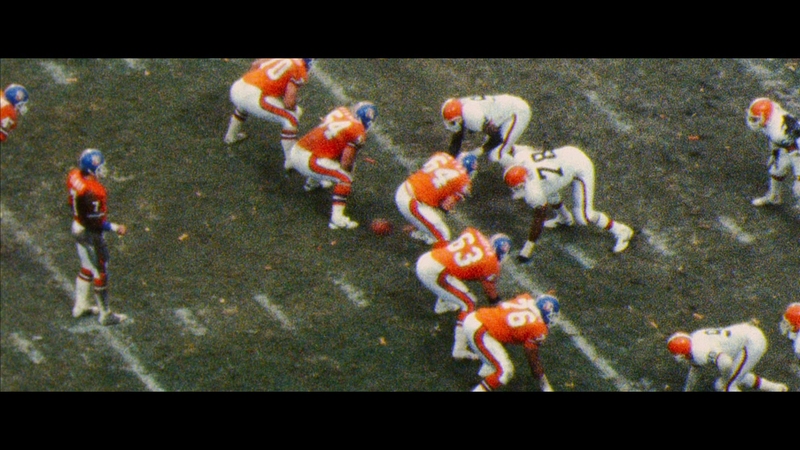 On the Clock is the key bonus, an hour long look into this feature, focusing on authenticity, actors, the NFL, and more. It’s respectably deep and involved for a film many may see as a throw-away. Welcome to Primetime may as well have been tossed into the latter feature. 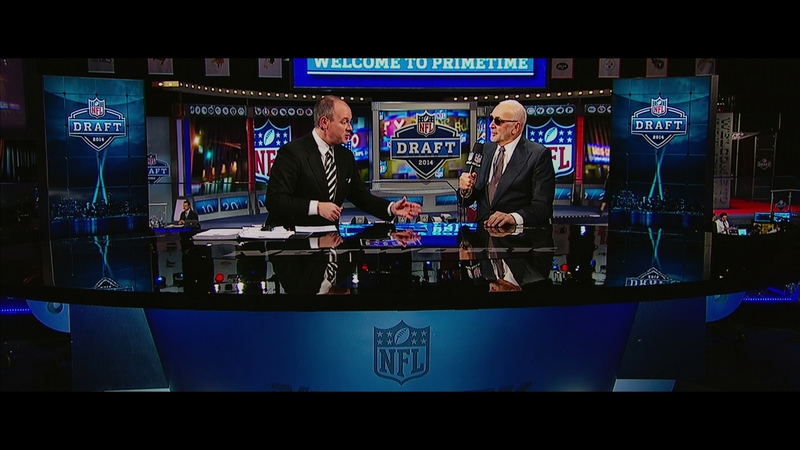 It’s look into the actual draft is rather passe in its own at 10 minutes. You can also select a commentary from the wring team Scott Rothman & Rajiv Joseph who come across as enthusiastic and knowledgeable. However, On the Clock is brisker and more entertaining.